The Electric Picture House in Wotton-under-Edge will screen one of Britain’s most significant operas; Benjamin Britten's Peter Grimes, as performed by the English National Opera and broadcast live from the London Coliseum stage on Sunday, February 23 at 3pm. Not only is the first live opera to be screened in Wotton, the event also marks the cinema debut for the English National Opera and ‘ENO Screen’ - ENO’s cinema programme, designed to make innovative opera accessible to local audiences. This is the first revival of director David Alden’s 2009 five-star, sell-out production. ENO Music Director Edward Gardner conducts Britten’s electrifying score, with Stuart Skelton returning to the title role. Critics also rave about the new production; with the London Evening Standard hailing it ‘a shattering evening of music theatre’. The Observer calls it ‘unmissable’. Featuring some of the most powerful and evocative music ever written, Peter Grimes paints a vivid picture of a small community’s descent into suspicion, gossip and mob mentality in the face of a tragedy. What really happened to fisherman Peter Grimes’s missing apprentice, and was he involved? As the townspeople’s mistrust grows, Grimes spirals into a downfall with devastating consequences. 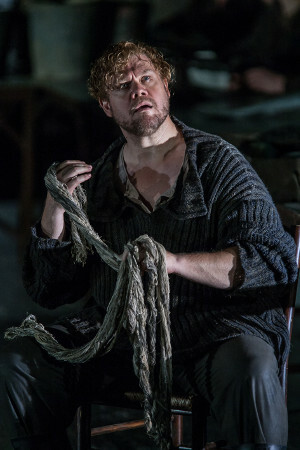 Tickets for ENO: Peter Grimes are £10 and can be booked online at www.wottoneph.co.uk. ENO Screen’s season continues at the Picture House in June with Berlioz’s Benvenuto Cellini, directed by Terry Gilliam.